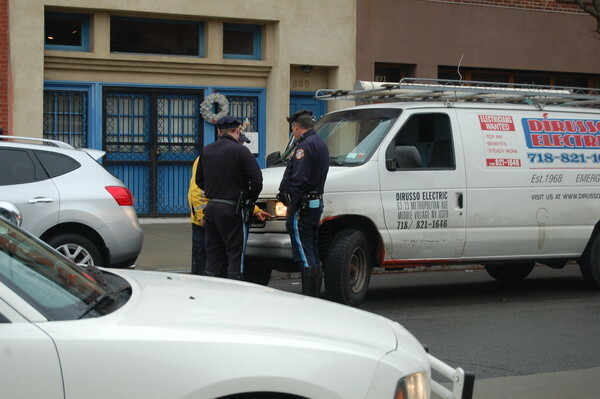 A van driver hit and killed a woman in her 50s as she crossed Columbia Street at around 7:40 this morning, according to an article in the Carroll Gardens Patch. The crash took place near the intersection of Columbia and Summit Street. The driver stayed at the scene, and while police are still investigating the crash, a spokesperson said they don’t believe any criminality was involved. Area residents told the Patch that the street is particularly dangerous, with drivers speeding through on their way to the BQE or IKEA. While the DOT installed a traffic calming bike lane on Columbia Street further south in Red Hook, it does not extend north to Summit Street. Streetsblog: where I come for my depressing news on people getting killed by drivers. I can’t decide whether I want more coverage or less coverage of the dangers of the roads. On the one hand, coverage will theoretically engender change. On the other hand, ignorance encourages more bikers to get out and become more visible, creating a painful adjustment period. Doug, just remember two things 1) the more people ride, the safer it is for everyone – your riding is making things better for everyone – and 2) not riding won’t save you. Most people killed by cars aren’t cyclists. I used to live across the ped bridge on Summit and know that inyersection well. It’s a four way stop but is routinely ignored by cars travelling on Columbia and by trucks headed toward the port gate at the foot of Summit. Would not be surprised if this was a run stop sign with no witnesses. Tragedies like this can provide DOT with the opportunity to explain to New Yorkers how street design changes can save lives. Most people living in the city don’t understand that the current standard street designs are dangerous and hostile to people. If every time an incident like this occurs, a DOT official made a public appearance in front of the press explaining how tragedies like this are preventable if we change our street designs and making the point that we need to change our streets to save lives, eventually over a period of years, these ideas will start to sink in to the general public and members of the media. As it stands right now, Marty Markowitz can make a press appearance in front of a no brainer safety improvement and claim that it makes our city more dangerous. Members of the media and the public are not well enough informed to understand that Marty is spewing misinformation. And DOT’s silence contributes to the impression that Marty is right. We cannot expect people to welcome changes to our streets when no one has ever bothered to explain to them that something is wrong with our streets. DOT is now facing an opposition that is running a sophisticated media campaign to discredit their work. They need to start running a media campaign to explain the basics or safe street design that most people don’t understand. DOT’s silence on these issues in past years was OK because no one was paying attention, but the playing field has changed and DOT needs to change its game plan accordingly. Doug, I hear where you’re coming from. Sometimes I skim over it or avert my eyes. But — and I’m not attempting to speak for the editors — I think Streetsblog does an important service by consistently covering something that the mainstream media covers intermittently. The MSM covers a pedestrian death properly only if it’s a slow news day. If Lindsay Lohan gets arrested again, a pedestrian who’s lost her or his life gets pushed off the front page, relegated to 10 seconds on the evening news, or 0 seconds.